Amy's Media Blog: Evaluation Post 3: What kind of media institution might distribute your media product and why? Evaluation Post 3: What kind of media institution might distribute your media product and why? We decided our film was to be produced by an independent studio (Starlight Pictures) so we decided on having a separate distributor. Our reasons for the institutes we decided on are shown below. 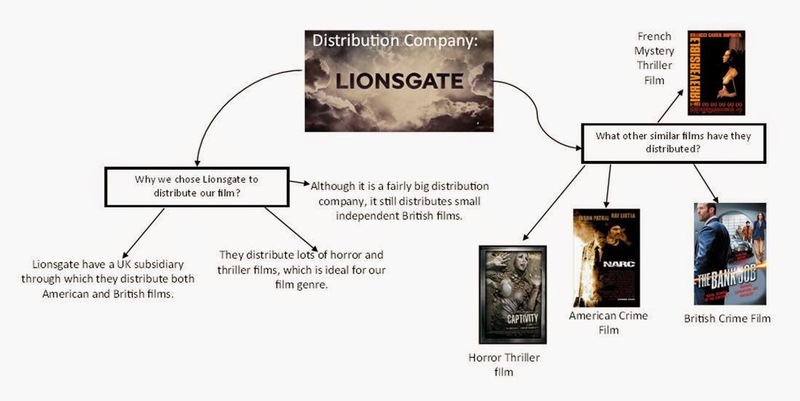 We chosen Lionsgate also because they are a horizontally integrated company, which would be likely to buy the rights to our little independent film, and distribute it well. We came up with a few ways in which we hope our film would be marketed. We came up with a release plan for Unlawful, through looking at the release of other small independent films. 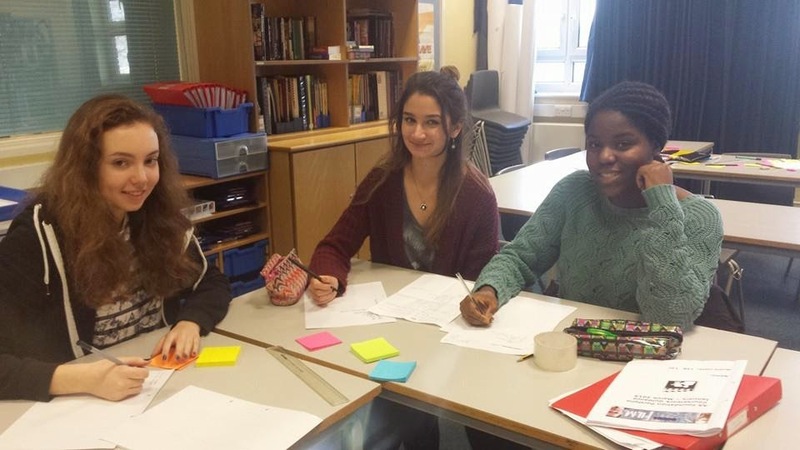 The film will be shown at small independent cinemas with occasional screenings at large chains like cineworld, this aims to targets an audience of those who like independent films, but also tries to widen the audience to cinema-goers. An example of a cinema chain and an independent cinema. 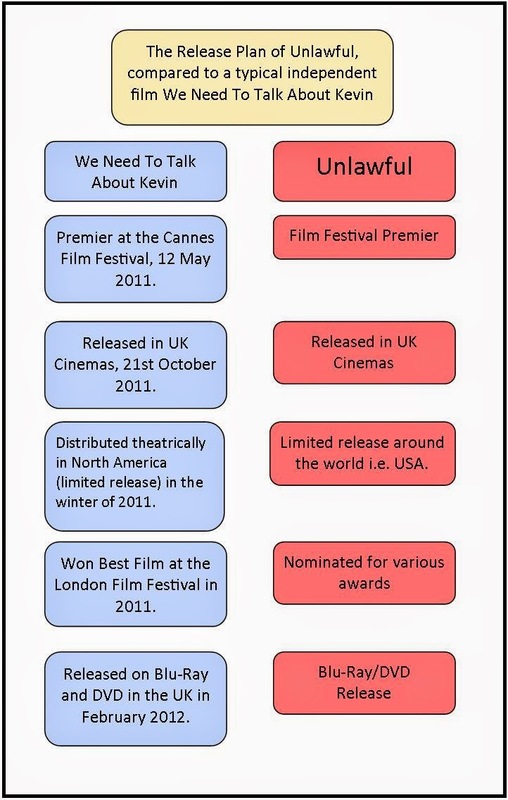 Unlawful is likely to be shown on TV after its release e.g. Film 4/Channel 4 because this is a popular strategy for independent films. These channels have a smaller audience, but are still popular with independent film fans. Avaliable through online streaming sites such as Netflix and online rental services like Lovefilm. As it is an independent film, this helps to reach the target audience (15-30 year olds) because they all use modern technology. These sites are popular ways in which teens watch programmes. Piracy is also likely for independent films, as less people watch these films at the cinema. 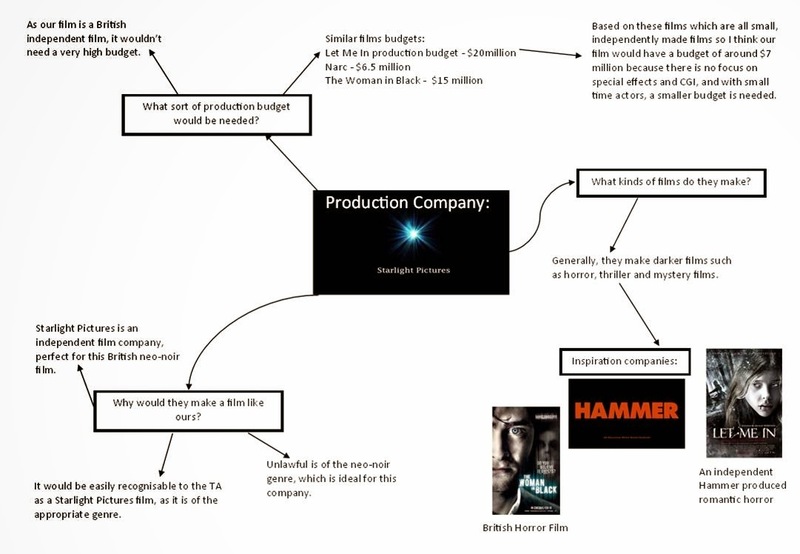 This also spreads the film via word of mouth even if it doesn’t increase any profits, so raises awareness of the film. It is likely that Unlawful will be available on DVD and blu-ray, a year or so after release, and this will be sold in shops like Sainsbury’s to try and encourage a wider audience. This profits the production and distribution companies also. We decided to use Lionsgate as our distributor because we thought they would be the most likely institute to take up a little independent film like ours. Its distribution plan was thought up by looking at other independent films and seeing how Lionsgate could similarly distribute Unlawful.